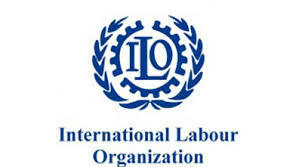 The UN International Labour Organisation (ILO)’s Global Commission has called for a human-centred agenda for a decent future of work in a report released in Geneva, Switzerland. According to the ILO, the release of the report on Tuesday served as a precursor for the annual meetings of the World Economic Forum which kick off on Wednesday in Davos, Switzerland. Speaking at the launch of the report, South African President Cyril Ramaphosa, as co-chair of the Global Commission, said the commission was clear that people and the work they do must be at the centre of economic and social policy, and business practice. Investment in people’s capabilities, institutions of work, and decent and sustainable work are at the centre of the report, the president said. Under the first pillar, the commission’s first recommendation was for the formal recognition of universal entitlement to lifelong learning and the establishment of an effective lifelong learning system. “If people are to benefit from new opportunities, they need to re-skill and up-skill throughout their lives,” Ramaphosa said. The second recommendation is to step up investments in institutions, policies and strategies that would support people through the transitions associated with changes in the world of work, he said. “While there have always been transitions in the world of work – be it from formal study to work, the result of fluctuations in the labour market, or from work into retirement – these powerful forces have compounded the need to provide the necessary support during these transitions,” Ramaphosa said. A transformative and measurable agenda for gender equality was highlighted as the third recommendation under the pillar on people’s capabilities, noting that women still performed three-quarters of all unpaid care work, and called for policy change in this regard.